All the parts that you never think about, but yet you need to complete your build. 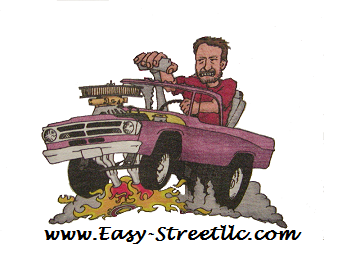 Here at Easy-Street LLC we drive our trucks, their are no trailer Queens "yet". Have owned and worked on different years of trucks and each period of truck has its Good Looks and always fun to drive, and that is what makes us continue to grow. As we mature our muscle's are not what the use to be, and some of the upgrades are making Safety better for everyone! we give support for our products and stand behind them for what purpose they serve, keep checking back for more products especially Life Style Trucks. We change through the years to better help make our services towards the largest portion of the customers needs. Have fun with your truck don't be shy to meet other truck owners!